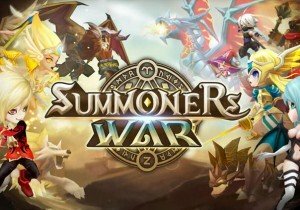 Com2uS has surpassed 100 million downloads of their flagship title, Summoners War, and is celebrating with an animated short. It is scheduled to arrive on their Youtube channel on Monday, February 11th, 2019. After the debut, players will be able to earn in-game items and rewards by watching the short in the custom in-game events banner. Com2uS partnered with Skybound North to produce this animated film, and it is titled “Friends & Rivals”. There will also be various events being held in-game, starting today to raise awareness for the animated short.